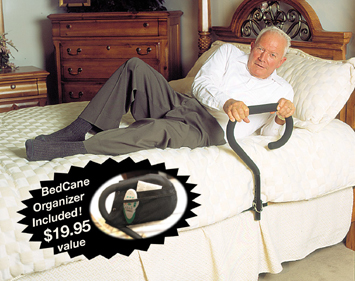 The BedCane makes movement in and out of bed easy with its steady support. The wood base fits between the mattress and the box springs. 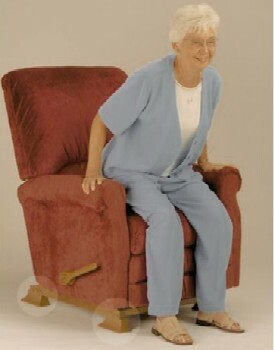 The BedCane offers a means to maintain balance while rising to a standing position, or lowering to a sitting position. The adjustable rail height of the BedCane adapts to the appropriate height for all mattresses. It features a wide handle made of quality steel components with a powder coat finish which will provide long lasting durability. The BedCane is portable, take it with you! 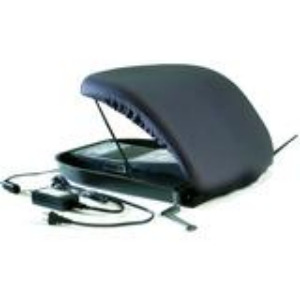 The handle folds down for storage and portability. A safety strap secures the solid wood base to your mattress. The reversible cushion grip cane handle installs on either side of the bed. 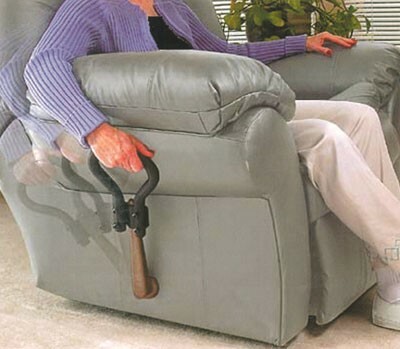 A safety strap attaches to the mattress to keep the BedCane secure. The BedCane comes with an organizational pouch. This snap-on pouch is perfect for placing those bedside necessities like remote controls, reading materials and more! BedCane Dimensions: Board - 19" x 23", Cane adjustable height - 19" x 22", strap - adjustable to 12 ft. Patent Pending.